We teach your child how to study. Do you want your child to be prepared for the future? Do you want your child to learn a smarter and better way to plan? Do you want your child to learn how to study? Would you like this in your own home? Then Study Nanny at Home is just what you are looking for. 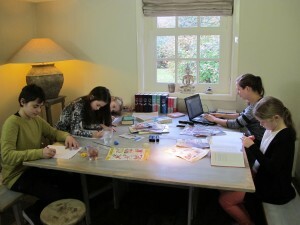 Study Nanny at Home provides professional study coaching in your own home for children between the ages of 8 – 18. Our study coaching program is designed to teach your child how to study effectively. These are skills they can use now and later in life.